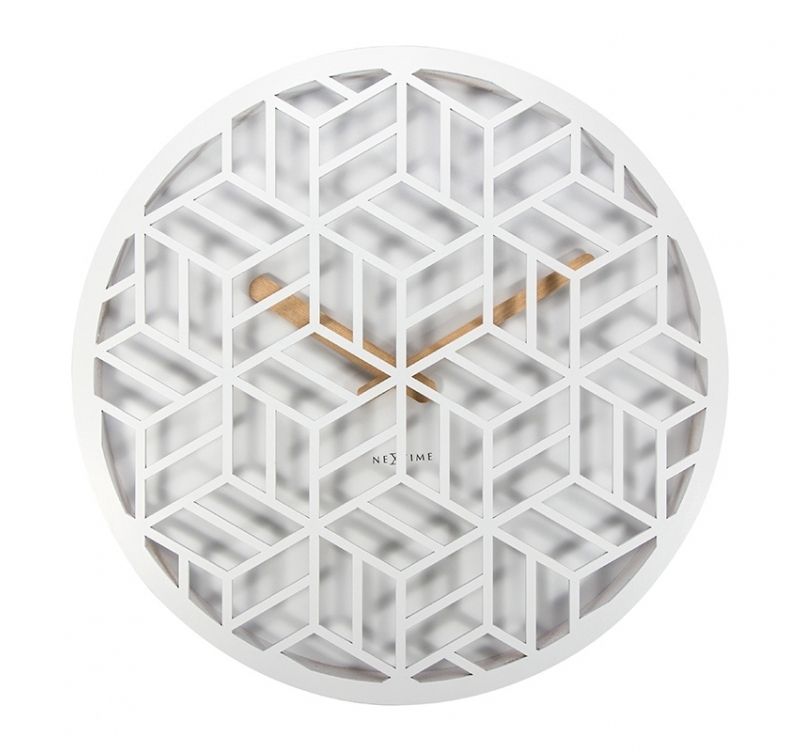 A mountain chalet air pervades this adorable wall clock. Its white raw wood openwork recalls a large snowflake and hides two adorable golden hands. The dimensions of this modern wall clock are 36 cm in diameter. Free 48/72 h delivery in metropolitan France and Belgium for your wood wall clock. This adorable wood wall clock features prominently the white tinted wood. Through the openwork white wood face, the golden hands are discreet. 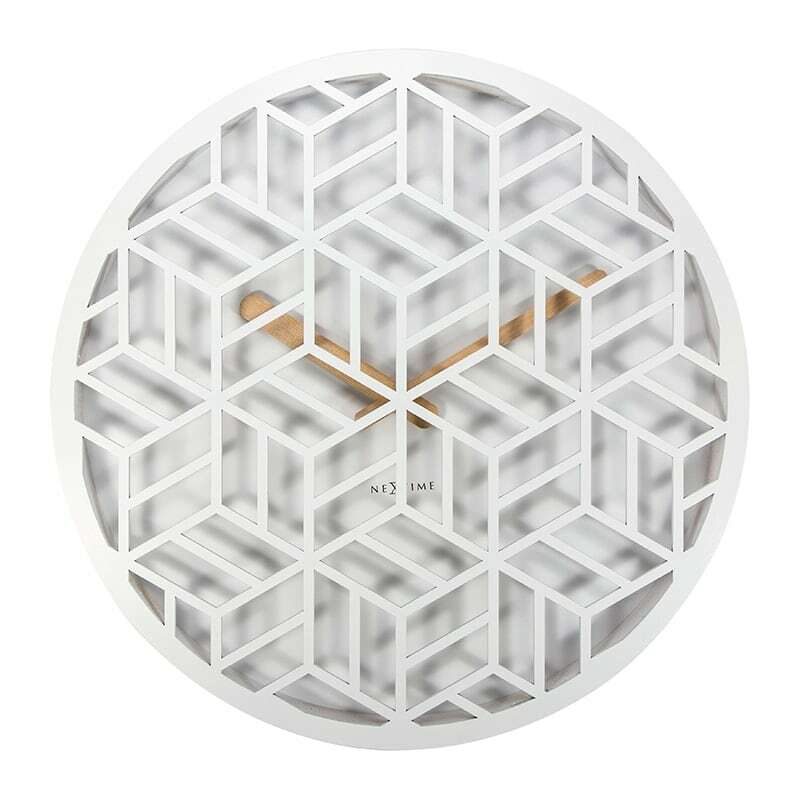 The original wall clock looks like a large snowflake Vasarely’s way. A design clock will be perfect to refine your cocooning interior decoration. Dare the shock of styles by associating your modern wall clock with a refined design interior deco : a mountain style corner in your urban or traditional interior for a guaranteed charm. This wood wall clock can also be found in black with a different wood pattern. All our design wall clocks are fitted with a quartz movement and work on standard batteries (not included).